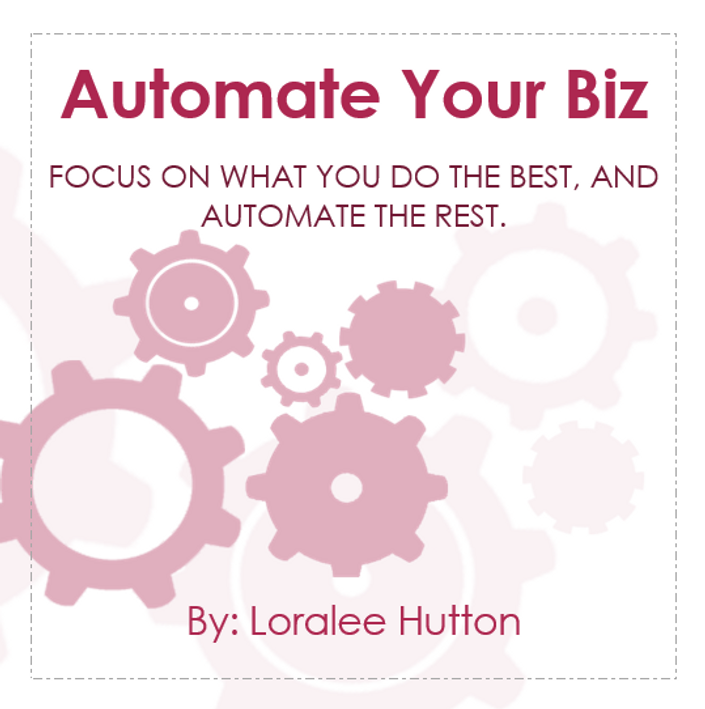 Why would a micro business owner want to automate? 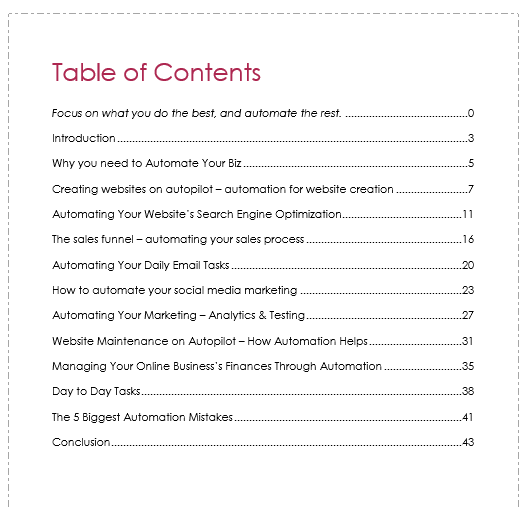 As you read through this report, keep a pen or pencil on hand and note which of the parts of YOUR business you can automate. 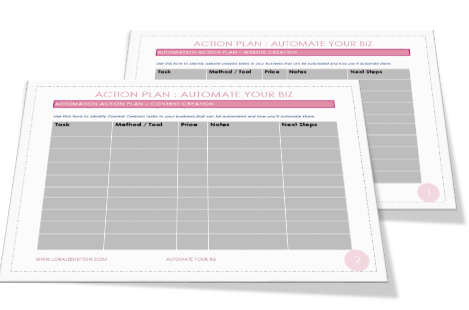 You can use the included Automate Your Biz: Action Plan to take notes, and to plan your next steps. I've also put together a list of popular tools that other people are using to automate different processes in their business. You're certainly not going to use all of them, but it will give you some ideas and a starting point for finding the right tools for you. 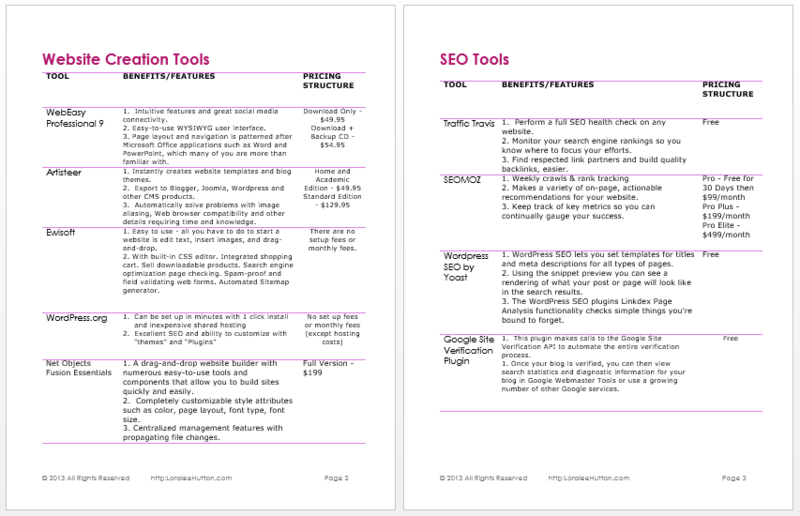 You can always reference the tools I'm currently using at http://loraleehutton.com/my-tools. As soon as I've put something through it's testing phase I add it to the website list as soon as possible. Take your time! This isn't something you need to implement overnight. In fact, it's better if you don't. Keep asking yourself questions as you go through your work day to see where you can streamline, systematize & automate. Your business will continue to grow and you'll have more free time to enjoy life. Get this course Free, as part of The Portable Biz Club.